Unilever is a multi-national corporation, formed of Anglo-Dutch parentage that owns many of the world’s consumer product brands in foods, beverages, cleaning agents and personal care products. Unilever employs nearly 180,000people and had worldwide revenue of almost €40 billion in 2005. Unilever is a dual-listed company consisting of Unilever NV in Rotterdam, Netherlands and Unilever PLC in London, England. This arrangement is similar to that of Reed Elsevier, and that of Royal Dutch Shell prior to their unified structure. Both Unilever companies have the same directors and effectively operate as a single business. The current non-executive Chairman of Unilever N.V. and PLC is Michael Treschow while Paul Polman is Group Chief Executive. The company is widely listed on the world’s stock exchanges. We are 3rd year 1st semester students. After one and half year, we will be going to job market and competing with other universities’ graduates for getting a suitable job. For getting an expected job, we need to concern about job market condition from today. Going to prepare recruitment and selection process in Unilever Bangladesh as a Human Resource Management course, we acquire required knowledge about Unilever Bangladesh’s recruiting and selection process that help us to perceive a common picture about recruiting and selection process in all multination company in Bangladesh. We can identify our lacks; prepare ourselves for future job market. So, we have the same opinion that this fruitful report not only assure reasonable grade mark in our curriculum result but also assure well-done feedback for near future job market. The report aims to provide information on the procedures of Recruitment and selection techniques followed by the UBL through HR department. a) Unilever is one of the world greatest consumer goods companies. The report is strongly informed with how this multi-local multi-national company conducts the aptitude ands psychometric for a candidate and how it helps them to get objective, reliable and relevant information on candidates. b) Unilever always try to add variety in life. At Unilever they have created an environment where people with energy, creativity and commitment work together to fulfill ambitious goals. This report helps us to know how the selection process of a candidate leads him to become leader. c) Selection is the last step for hiring a right employee. In Unilever Bangladesh Limited, the selection board lasts for an entire day and covers a wide range of activities for fulfilling this post. By studying the report, we will know what type of activities they arrange for the entire day to get the final candidate. d) Unilever wants to attract the best graduates to join in their leadership actions. This report enlightens what type of recruitment opportunities offered by Unilever Bangladesh Limited for university students and how the students can access that opportunity. There is a certain boundary to cover this report. Our particular report only covers Strategic planning of Unilever Ltd. We mainly focus on Strategic planning of Unilever Bangladesh. And we also cover executive and higher-level planning process. We surveyed only Dhaka regional office of Unilever Bangladesh Ltd. There is HR department in Dhaka regional office, here we talked with some of expert and experienced officials and collect information about planning process in Unilever Bangladesh through sharing their experience. We communicate with Unilever Bangladesh Ltd. HR department in Dhaka and able to collect some valuable information as well as we gathered information through internet Unilever Bangladesh Ltd. official web-site. Moreover we got some confidential information which is not possible to disclose publicly, so those data and information had to be ignored for this report. Within a short time, we need to prepare some other courses’ reports for in this session. For this reason, we could not get a fluent time schedule for the report. The employees of Unilever Bangladesh Limited were too busy of there work. For this, they did not sufficient time to fulfill our queries and some of them neglected us to support. Many employers of the organization were not well known about all information that we asked them. Many of them also hesitated to answer the questions. These things hampered the information collection. We got some confidential data which is not possible to disclose publicly, so those data and information had to be ignored for this report. Face to face conversation with the employees in Khulna regional office and share their own experience in getting job. Unilever is a British-Dutch multinational corporation that owns many of the world’s consumer product brands in foods, beverages, cleaning agents and personal care products. Unilever is a dual-listed company consisting of Unilever N.V. in Rotterdam, Netherlands and Unilever PLC in London, United Kingdom. 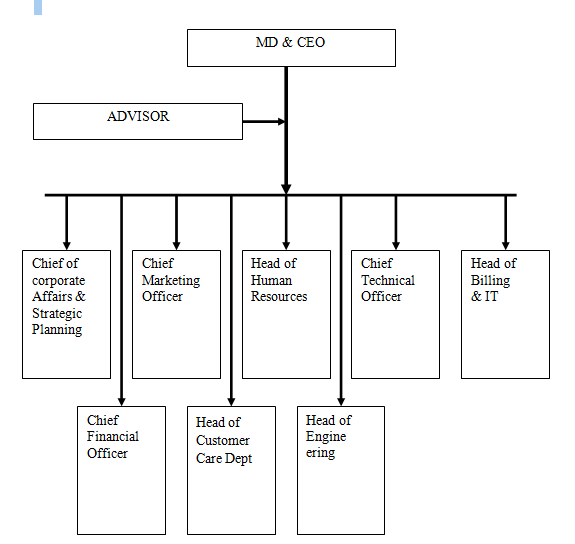 This arrangement is similar to those of Reed Elsevier and Royal Dutch Shell prior to their unified structures. Both Unilever companies have the same directors and effectively operate as a single business. The current non-executive Chairman of Unilever N.V. and PLC is Michael Treschow while Paul Polman is Group Chief Executive. 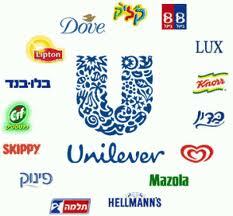 Unilever’s main international competitors include Nestlé and Procter & Gamble. They also face competition in local markets or product ranges from companies such as ConAgra, Danone, General Mills, Henkel, Mars, Inc., Pepsico, Reckitt Benckiser,and S. C. Johnson & Son. Unilever was created in 1930 by the amalgamation of the operations of British soap maker Lever Brothers and Dutch margarine producer Margarine Unie, a merger as palm oil was a major raw material for both margarines and soaps and could be imported more efficiently in larger quantities. In the 1930s the Unilever business grew and new ventures were launched in Latin America. In 1972 Unilever purchased A&W Restaurants’ Canadian division but sold its shares through a management buyout to former A&W Food Services of Canada CEO Jefferson J. Mooney in July 1996. By 1980 soap and edible fats contributed just 40% of profits, compared with an original 90%. In 1984 the company bought the brand Brooke Bond (maker of PG Tips tea). In 1987 Unilever strengthened its position in the world skin care market by acquiring Chesebrough-Ponds, the maker of Ragú, Pond’s, Aqua-Net, Cutex Nail Polish, and Vaseline. In 1989 Unilever bought Calvin Klein Cosmetics, Fabergé, and Elizabeth Arden, but the latter was later sold (in 2000) to FFI Fragrances. In 1996 Unilever purchased Helene Curtis Industries, giving the company “a powerful new presence in the United States shampoo and deodorant market”. The purchase brought Unilever the Suave and Finesse hair-care product brands and Degree deodorant brand. In 2000 the company absorbed the American business Best Foods, strengthening its presence in North America and extending its portfolio of foods brands. In April 2000 it bought both Ben & Jerry’s and Slim Fast. The company is multinational with operating companies and factories on every continent (except Antarctica) and research laboratories at Colworth and Port Sunlight in England; Vlaardingen in the Netherlands; Trumbull, Connecticut, and Englewood Cliffs, New Jersey in the United States; Bangalore in India (see also Hindustan Unilever Limited); and Shanghai in China. The US division carried the Lever Brothers name until the 1990s, when it adopted that of the parent company. The American unit has headquarters in New Jersey, and no longer maintains a presence at Lever House, the iconic skyscraper on Park Avenue in New York City. The company is said to promote sustainability and started a sustainable agriculture programme in 1998. In May 2007 it became the first tea company to commit to sourcing all its tea in a sustainable manner, employing the Rainforest Alliance, an international environmental NGO, to certify its tea estates in East Africa, as well as third-party suppliers in Africa and other parts of the world. It declared its aim to have all Lipton Yellow Label and PG Tips tea bags sold in Western Europe certified by 2010, followed by all Lipton tea bags globally by 2015. Covalence, an ethical reputation ranking agency, placed Unilever at the top of its ranking based on positive versus negative news coverage for 2007. In 2008 Unilever was honoured at the 59th Annual Technology & Engineering Emmy Awards for “Outstanding Achievement in Advanced Media Technology for Creation and Distribution of Interactive Commercial Advertising Delivered Through Digital Set Top Boxes” for its program Axe: Boost Your ESP. On August 9, 2010, Unilever signed an asset purchase agreement with the Norwegian dairy group TINE, to acquire the activities of Diplom-Is in Denmark, as of 30 September 2010. On September 27, 2010, Unilever purchased Alberto-Culver, the maker of personal care and household products such as Simple, VO5, Nexxus, TRESemmé, and Mrs. Dash for $US3.7 billion. On September 28, 2010, Unilever and EVGA announced that they have signed an agreement under which Unilever will acquire EVGA’s ice cream brands (amongst others, Scandal, Variete and Karabola) and distribution network in Greece, for an undisclosed amount. Unilever’s mission is to add Vitality to life. Unilever meets everyday needs for nutrition; hygiene and personal care with brands that help people feel good, look good and get more out of life.  We work to create a better future every day.  We help people feel good, look good and get more out of life with brands and services that are good for them and good for others.  We will inspire people to take small, everyday actions that can add up to a big difference for the world.  We will develop new ways of doing business with the aim of doubling the size of our company while reducing our environmental impact. This department brings ideas to improve and introduce their brands as well. The managers of this department find the new technologies available and use this technology to drive competitive advantage. Managers of this dept use to drive the employees in a disciplined manner to achieve organizational goal. Here the also motivate the employees to the fullest possible extent. Building relationship with customer and maintain the relation is important job for any organization that and is done by the managers of this departments. This department also tries to find needs and wants of the customers. After production how products should be distributed to the supplier- wholesalers, retailer or what would be the chain of supply of the products from production till sales to the final consumer is totally operated by this department. Managers of Marketing department tries to create values of their brands to the customer by taking various steps like- promotion, advertisement, free distribution and so on. => Slow sales growth compared with the competitors. Surf excel is the highest selling premium washing powder in Bangladesh. Over the last twenty years it has anticipated the changing washing needs of the Bangladeshi homemaker and constantly upgraded itself. Surf excel is a champion of unleashing human potential. Consequently, it believes that children learn best when left to discover things on their own. For any consequential stains there is Surf excel. And because it takes only one minute for children to get dirty, Surf excel now removes tough stains like ink & shoe polish within one minute. The highly popular Vim Bar challenge campaign created quite a hype in households all over the country. Housewives were challenged that they have never before experienced such a quick and efficient cleaning effect on their kitchen utensils with any other product! The Vim Bar, a revolutionary innovation for household products, brought together tradition and technology and came up with a dishwash in soap form. The Vim Bar is a powerful grease cutter that removes tough burnt marks easily. It is also suitable for all types of dishes and offers easy cleaning with a pleasing lemon fragrance. A dominant market leader in the detergent segment, Wheel Washing Powder is known for its great cleaning ability with minimum effort. The new formulation of Wheel Washing Powder is enhanced with the fragrance of thousand flowers as well as the power of lemon, thus not only removing the tough dirt in your cloth, but also leaving clothes smelling of a thousand flowers well after washing. The convenience provided by Wheel Washing Powder has relieved many housewives from the laborious laundry process of the traditional Ball Soaps. Lux Strawberry and Cream: Every woman wants to be indulged! Use Lux Strawberry and Cream to fill your skin smooth and silky. Lovingly created with a sumptuous mix of luscious strawberries and moisturizing cream extracts that leaves your skin soft. Lux Peach and Cream: No women can resist the pleasure of being pampered. Use Lux Peach and Cream, lovingly created with the blend of juicy peach and moisturizing cream extracts, for a velvety, soft skin. Just gorgeous! Aqua Sparkle: Wake up to a body that looks fresh and full of life. Lux Aqua Sparkle, with refreshing mineral salts and seaweed extracts, is the best kept secret to help renew your skin from bored to full of life! There won’t be dull days! In 1886 it was relaunched as Pond’s Extract and in 1914 Pond’s Cold Cream and Vanishing Cream marked the brand’s evolution to a beauty icon. By the mid-1920s it was reflecting this positioning with endorsements by society beauties. Its stylish image was underpinned by guarantees of product delivery and an understanding of women’s beauty routines and needs. In 1955 Pond’s Extract Company merged with Chesebrough Manufacturing and in 1987 Unilever purchased Chesebrough-Pond’s. By this time the Pond’s brand had built up a powerful international presence. Even the best soaps are alkaline, which while cleansing your face, dries and stretches your skin, resulting in premature wrinkles and lines. Pond’s Daily Face Wash is 100% soap-free, thus non-alkaline. Its Active Cleansing System deep cleans without drying. Your face retains its natural moisture and looks noticeably radiant. Pond’s Nourishing Facial Scrub brings you the promise of clean skin that feels softer and nourished. Its Skin Exfoliating and Revitalizing System contains two kinds of microbeads. The white Scrubbing Beads help to deep cleanse gently, removing dead skin cells, thus preventing blackheads and pimples. The orange Nourishing Beads with vitamin C help to nourish the skin. Its pH-balanced cleanser formula deep cleans without destroying the moisture balance of the skin. Close up was launched as a gel toothpaste containing micro-whiteners and mouthwash in 1984, and fired the imagination of the population with its exciting advertising. Seeing the success that Unilever Bangladesh had with low unit price packs in other categories, a sachet – more popularly called mini pack – met with astounding success and enabled millions of youth, who aspired for a modern trendy brand but were unable to afford one, to use the brand. World’s number 1 fairness cream now redefines the route to fairness with the new advanced Multivitamin Fairness and Nourishment formula. The cream gives total fairness in four weeks that rivals the best professional beauty treatment, but without bleach or harmful chemicals that can damage skin. Taaza Danedar — the classic Taaza blend that gives a sweet liquor with brilliant colour and aroma, a cup of tea filled with daylong freshness. Taaza Teabag — Taaza’s special double chamber flow-through teabag provides a cup of tea with exceptionalcolourand taste. Consumers now have the option to customize their own cup of tea, the way they like it — light, regular or strong. 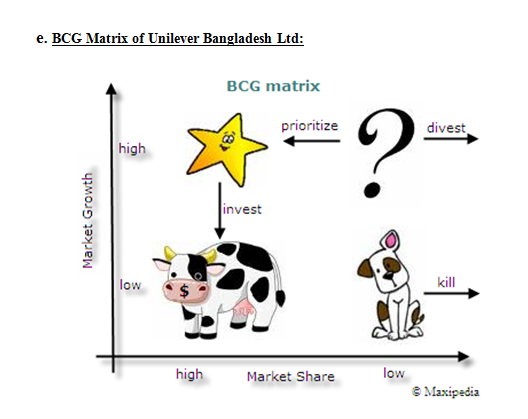 The report has attempted to point out strategic planning process in Unilever Bangladesh. Though there is HR department in Unilever Bangladesh Dhaka office. We face some little bit problem to collect the necessity information. We can get little information about planning process in Unilever Bangladesh. We have to communicate with Unilever Bangladesh head-office in Dhaka. After few refusals, at last we are able to collect information from Unilever Bangladesh HR department but it curtails our time duration to prepare a rich full report. We also take support by some secondary reports as well as internet and Unilever report publication. We have to ignore some confidential data. They should encourage new products. Bring innovations in the existing products. They should conduct more surveys in order to know about customer satisfaction level. Easy access for communication should be provided in the rural areas.